* Durable melamine laminate provides a sturdy, smooth work surface. 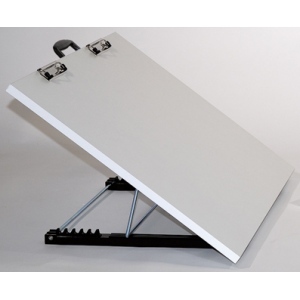 * Folding supports raise the board to a comfortable working angle for painting or sketching. 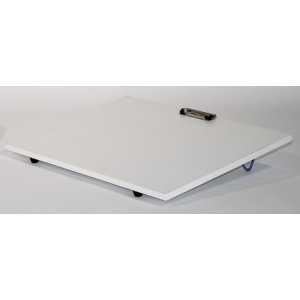 * Easy to transport and store, with carrying handle.